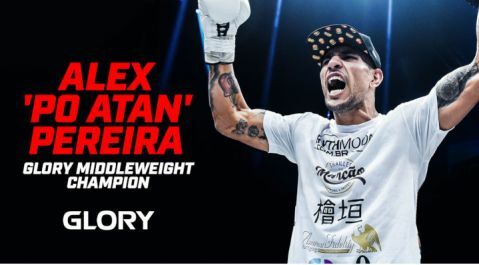 Two bitter rivals are going to throw down in a title fight and rubber match at GLORY 55 NEW YORK as middleweight champion Alex ‘Po Atan’ Pereira (27-6, 17 KO’s) faces #1-ranked Yousri Belgaroui (24-4, 12 KO’s). It will be the third meeting between the two, who are 1-1 against each other following their brace of prior encounters. 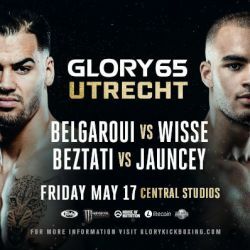 Belgaroui won a decision over Pereira in the final of the GLORY 40 Middleweight Contender Tournament but then deferred a title shot in order to fight on a card in Amsterdam, his home city. 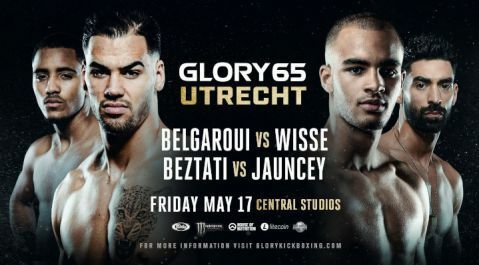 Pereira then went forward to win the belt from Simon Marcus at GLORY 46, setting up a GLORY 49 rematch with Belgaroui, with the challenger going in as the slight favorite. It was a back-and-forth fight until late in the third round, when a knee from Pereira opened a huge gash over Belgaroui’s eye. 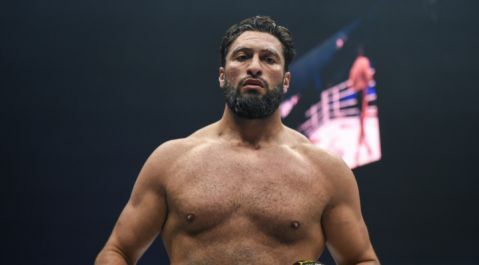 The cut ended the fight; the ringside doctor took one look at it and said instantly that it was too bad for the fight to be allowed to continue. Now, just over six months on from that December encounter, the two are headed to New York and aiming for a definitive showdown which will have one of them walk away as both world middleweight champion and winner of their series. Feelings have run high between the two in the past and this promises to be a heated encounter. With Pereira running a 63% finish rate in his victories and Belgaroui an even 50%, the odds of this one going all five rounds seem low. GLORY 55 NEW YORK takes place at the Hulu Theater at Madison Square Garden on Friday, July 20.